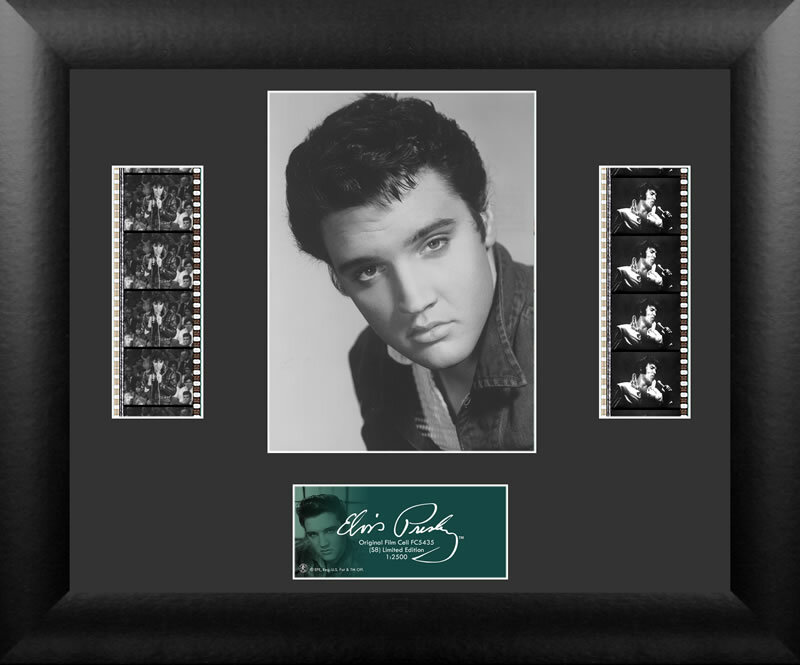 FilmCells Elvis Presley (S8) Double Cell USFC5435. His family moved to Memphis when he was thirteen. After working as a movie theater usher and a truck driver Elvis began singing locally as The Hillbilly Cat then signed with a local recording company then in 1955 with RCA. He did much to establish early rock and roll music bringing black blues singing into the white teenage mainstream. Teenagers became hysterical over his sexual gesturing and particularly his Elvis the Pelvis gyrations (TV cameras were not permitted to film below his waist). When he died he had sold over 600,000,000 singles and albums. * Limited Edition Size of 2500 Pieces Produced Worldwide.